The booking will be considered definitely confirmed only at the moment of the receipt of a letter of confirmation by the client. The letter will be immediately sent by the Agency IMMOBILIARE FRIULI S.R.L. upon receipt of a earnest. Agency reserves the right to refuse earnests which arrive more than 15 days after the date on which the rental accommodations was confirmed by the client. The 30% of the total rental sum must be paid as an earnest directly to the Agency IMMOBILIARE FRIULI S.R.L. This deposit must be paid by bank transfer or credit card. Payments by means of cheque will not be accepted. The full payment of the rent and any additional costs must be paid in cash or with cc upon arrival when the keys are withdrawn at our office. Electricity, water and gas consumption are included in the rental price. 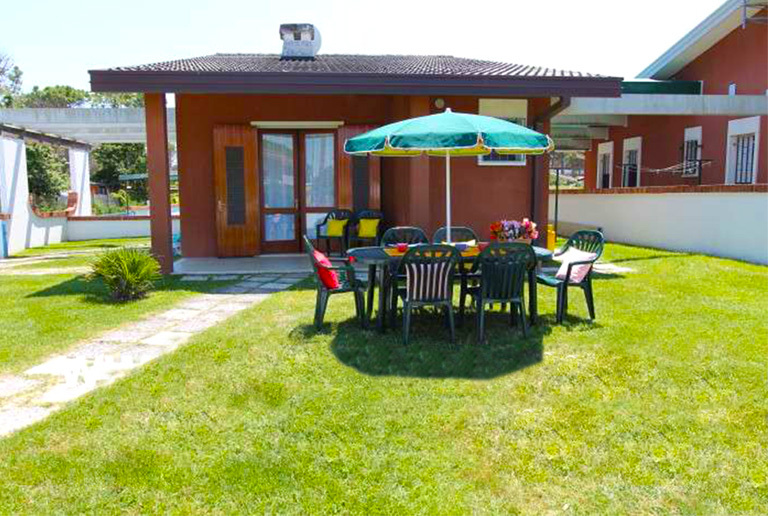 As a promotional present the Agency Immobiliare Friuli Srl offers to its guests the agency assistance and BEACH SERVICE (consisting of 1 beach-umbrella with 1 beach-bed and 1 deck-chair) FOR FREE. In the price is NOT included the tourist tax. No refunds of any entity will be made if the date of departure is anticipated, or for any other reason. No refunds will be made for earnests. Cancellations of bookings have to be made at least four weeks prior to the date of arrival. If the Agency IMMOBILIARE FRIULI S.R.L. would not be able to rent the accommodation again for any reason, the client who cancelled his booking will be held responsible for the payment of the entire amount of the rental price, without any exception or reserves. 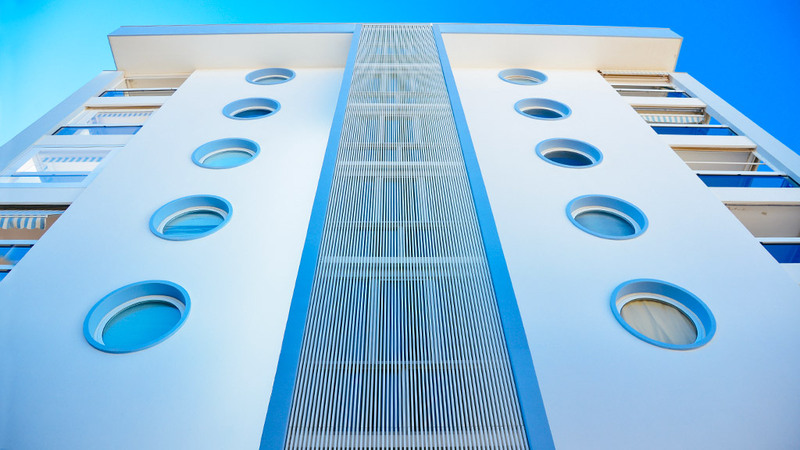 Arrivals will take place at the Agency IMMOBILIARE FRIULI S.R.L., located in Corso del Sole 82, Bibione on the agreed date of arrival from 04 p.m. In case of delay the client must inform the Agency IMMOBILIARE FRIULI S.R.L. as soon as possible, otherwise we will keep the flat at your disposal until 10 a.m. of the day after. After this time the flat could be rented again with all the conditions and consequences listed in the point 3 above, that are automatically intended to be accepted at the receipt of this letter. No more people than the amount indicated by the number of beds in the letter of confirmation are allowed to stay in the accommodation. Children of any age will be considered adults. The mattresses of beds used by babies and young children must be protected by a plastic sheet brought by the client. The Agency IMMOBILIARE FRIULI S.R.L. has the right to authorise, upon specific request from the client, the occupation of the accommodation by one extra person, against payment of a surcharge, the amount of which will be decided at the time by the agency. No animals of any kind are allowed. When one is absent from the accommodation temporarily, the client must place all garden and recreational objects ( lounge chairs, umbrellas, etc.) inside. The useof if personal electric burners, heaters of fans is not permitted. The internal rules and regulations of each building are to be scrupulously observed by the client, with special attention given to rules regarding noises, respect of neighbours, and afternoon and evening quite hours. At any time and without in advance notice, the agency can check the conditions of the accommodations, and the number of people occupying them. Digging holes in the garden is forbidden. Mattresses, pillows, blankets and the like may not be used for sunbathing in the gardens or on the balconies. All our accommodations are fully furnished and include a shower, running cold and hot water, and 220 Volt electricity as well as a cooking area with gas burners, a refrigerator and cooking utensilis. Each bed is supplies with one blanket. Bed sheets, tablecloths and bath towels are not supplied, nor are irons or extra blankets. The client is responsible for bringing these or any other personal item as he sees fit. Using the beds and pillows without sheets or pillow cases is forbidden. When the gas tank is empty, the agency must be notified. Please remember that the gas suppliers are closed on Sunday afternoons. The accommodations must be vacated by 09.00 a.m. on the date of departure agreed upon. Departure must take place within The Agency IMMOBILIARE FRIULI S.R.L. Office's hours, to allow our personnel to check the general state of the accommodations and if they have been properly cleaned. The Agency IMMOBILIARE FRIULI S.R.L. may authorise, upon the client request, and by prior agreement, departure in the evening or outside office's opening time. In this case the agency reserves the right to withhold refund of the deposit (see point 8 below). The deposit will be refunded by post, net of postal costs, after the accommodation have been checked by the agency. The accommodation must be left perfectly clean, out of rubbish, the cupboards and shelves must be cleaned, the cutlery and all crockery washed, the fridge has to be left empty and defrosted, and the door left opened, otherwise the client will be charge of € 50,00/100,00 for cleaning. These terms are hereby expressly accepted by the client without exception or reserve. The client expressly takes responsibility of taking care of the accommodation as well as the domestic appliances and equipment (cooking and eating utensils, refrigerator, mattresses and anything else is present in the accommodation upon arrival). The client must pay for any items which are broken or damaged at the cost of replacement ( items purchased new at retailer's). These terms are hereby expressly accepted by the client without exception or reserve. In order to guarantee the immediate and complete respect of the above terms, and of the commitment made by the client to leave the accommodation perfectly clean at the time of departure, a security deposit agreed on will have to be left at the Agency IMMOBILIARE FRIULI S.R.L. when the keys are withdrawn. This security deposit will be refunded to the client after the Agency IMMOBILIARE FRIULI S.R.L. has determined that no damages has been caused to the accommodations or to their contents, and that it is perfectly clean. The Agency IMMOBILIARE FRIULI S.R.L. will not be responsible in any way for damages or injuries , accidents, losses, delays or any other type of inconvenience which takes place in the accommodations or in the building where the accommodations are located. Any complaints concerning the accommodations must be made within 24 hours after arrival, after which time any right to complain is void. The Agency IMMOBILIARE FRIULI S.R.L. will in any case, as far as it is able, attempt to solve any problem which may arise, it being expressly understood that any claim for proven damages will be directed by the agency to owner of the accommodation. It is expressly agreed upon by the client that the Agency IMMOBILIARE FRIULI S.R.L. now and in the future will be wholly and expressly absolved of responsibilities of any kind, either civil or criminal or fiscal. 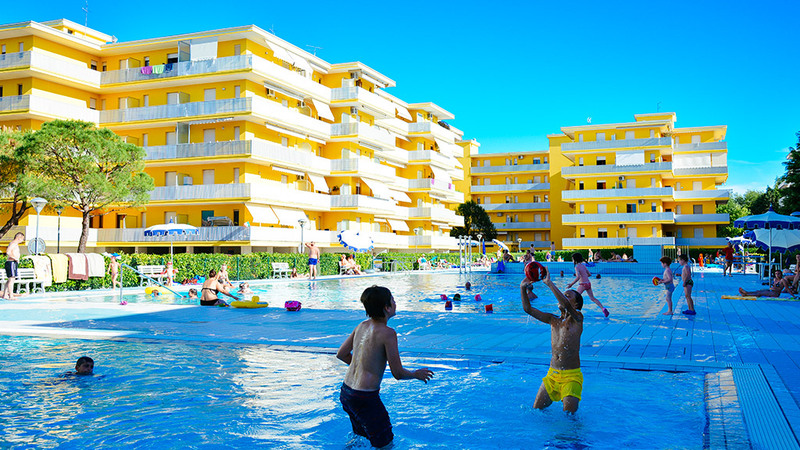 Furthermore the agency is not responsible for disturbances such as noise, traffic or building sited near the accommodations, or of any other kind during holidays spent in Bibione, nor is it responsible for break-ins, robberies or damages by third parties to the accommodations or to the cars. If unforeseen problems arise regarding assignment of accommodations the Agency IMMOBILIARE FRIULI S.R.L. reserves the right to make substitutions as it deems fit. Such substitution will be accepted by the client without exception or claims for refunds, discounts, rights or damages of any kind. This agreement, even when stipulated with citizens of foreign countries ( including those residing within the EU ) is regulated solely by the Italian legislation in effect. Any other legislation is inapplicable. Controversies of any kind which might arise between Italian citizens and/or citizens of any other country, will be solely under the jurisdiction of the Venice Court Law. The client declares that all the general and basic terms of rental for furnished accommodations stated above will be scrupulously observed. These terms are considered as unconditionally accepted and approved by the client once the deposit of confirmation has been made. Therefore, according to the articles 1341 and 1342 of the Italian book of statutes, the client hereby declares to be completely informed of these general and basic rental terms stated herein, and specifically points 1, 2, 3, 4, 5, 6, 7, 8, 9, 10 ,11 and 12. The client therefore unconditionally confirms and specifically agrees to all the limitations, clauses, obligations and agreements printed above, which he declares to have read and accepted.